In early Victorian London, stories began to spread about a strange man who assaulted people before escaping by mighty leaps. Sometimes he tried to tear the clothes off women, while in other attacks he slapped men in the face. He was never caught and, perhaps, that's because he might never have existed; although he seemed real enough to his victims. 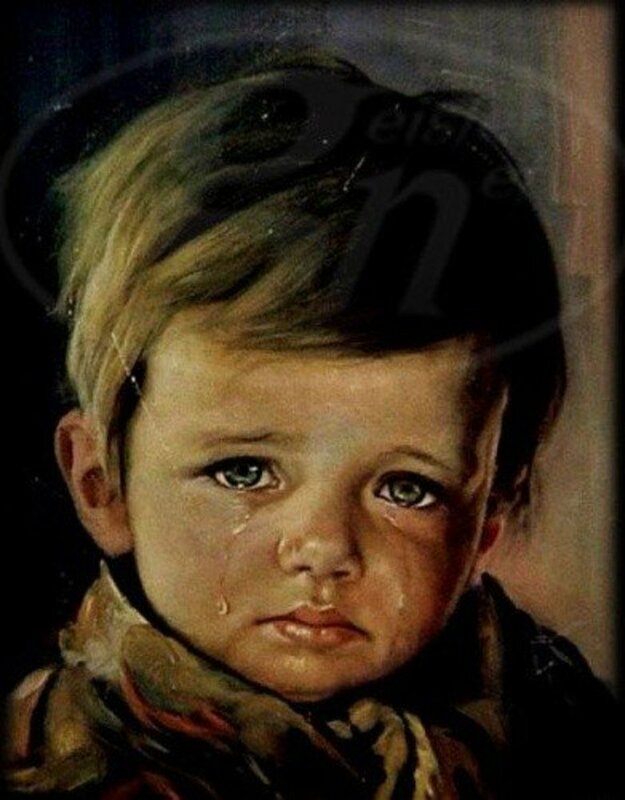 According to many accounts a girl named Mary Stevens was the first victim in October 1837, others say it was a businessman returning home from work. 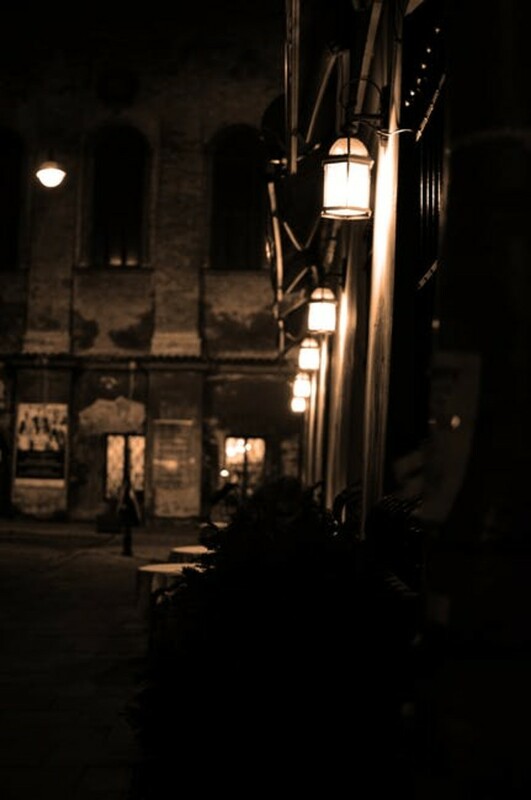 A servant girl, Mary, was walking through Clapham Common in London when a strange man leaped at her from an alley. Other accounts of attacks followed and the descriptions of the assailant grew more and more lurid. He wore a tight-fitting garment resembling an oilskin and a black cape. His eyes were like “red balls of fire” and he could project blue and white flames from his mouth. Some said he had pointed ears and horns. His hands were claw-like. The one feature that was common to all sightings was his ability to jump over high hedges, walls, fences, and even over rooftops. 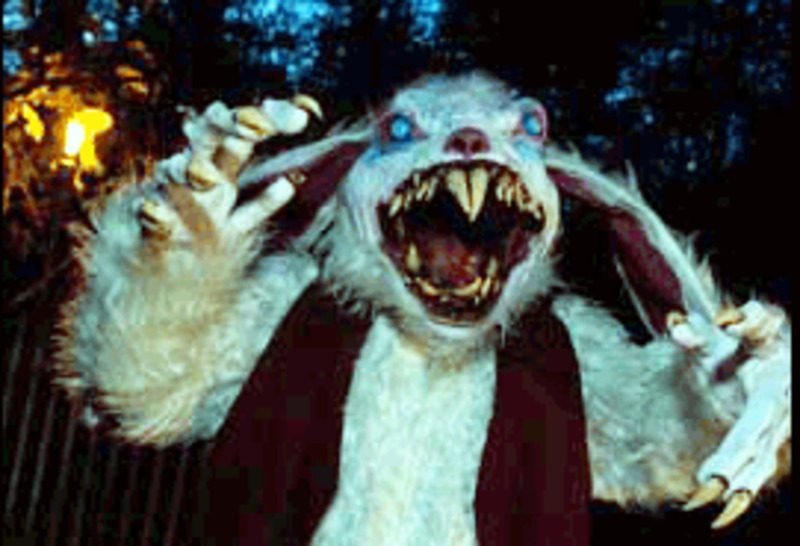 The day after the Mary Stevens incident this strange apparition was seen to jump in front of a carriage. The coachman swerved, lost control, and crashed causing serious injuries. Several observers then described how this fiend vaulted over a nine-foot high wall and escaped. Such strange goings on attracted the attention of the press, particularly the “penny dreadfuls,” equivalent of today’s supermarket tabloids, for which stories such as this were meat and drink. A little embellishment of the story here and there and you had the makings of a public panic. Quickly, the demonic figure was given a name, Spring-Heeled Jack, and reports of further outrages multiplied. As news of this strange creature spread outside London so did sightings. By 1838, he was spotted all over Britain and was being blamed for many attacks. 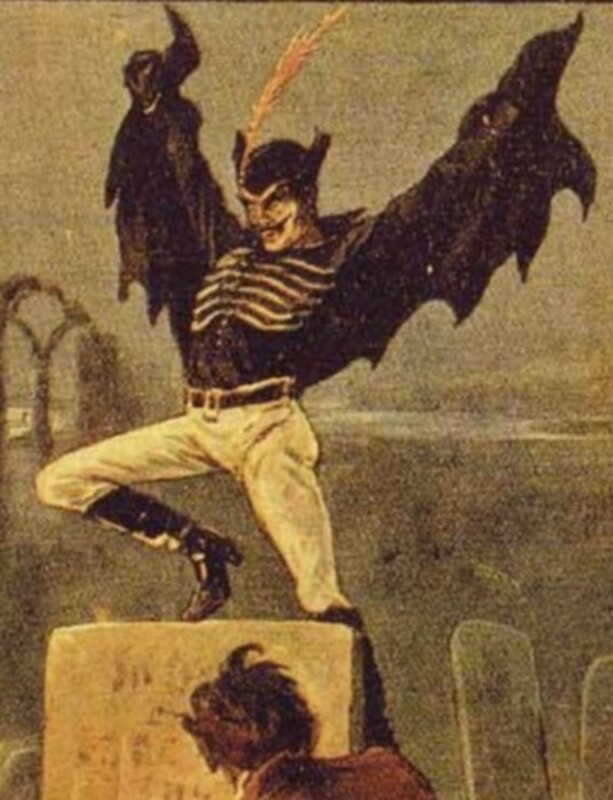 Alas for the elderly duke, Spring-Heeled Jack proved a more illusive opponent than Napoleon Bonaparte. Was Spring-Heeled Jack a Practical Joke? An early theory about the leaping rogue was that he was part of a prank. This was given credence by the Lord Mayor of London when, in January 1838, he made public a letter from an anonymous resident of London. It wouldn’t be the first time idle young men, imbibing freely of the fermented grape or hop, had come up with some outrageous escapade or other. The letter writer continued by saying the bet involved an undertaking to kill six women. 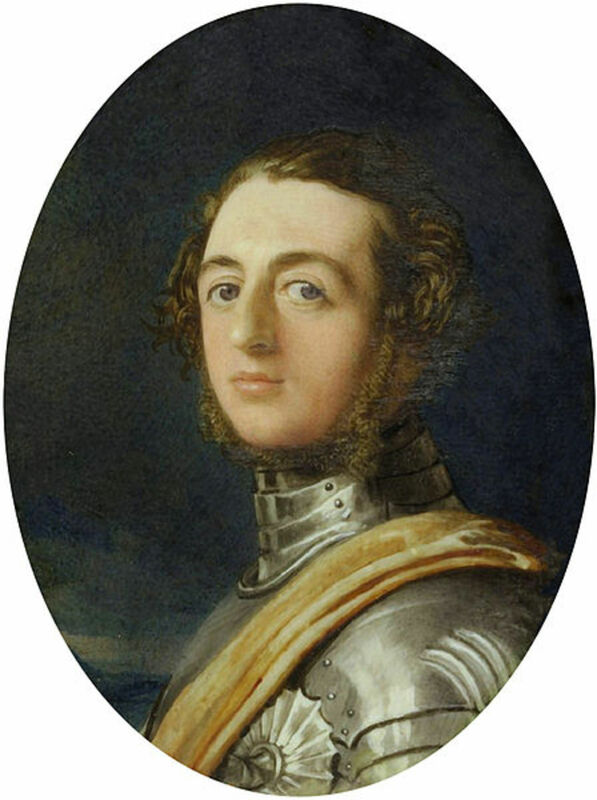 Suspicion focused on the Marquis of Waterford, Henry de La Poer Beresford. He was an upper-crust “gentleman” known for boozing, brawling, brutal jokes, and contempt for women. But, even a nobleman, no matter how high up the aristocratic food chain, cannot hurdle across rooftops or spit blue fire. 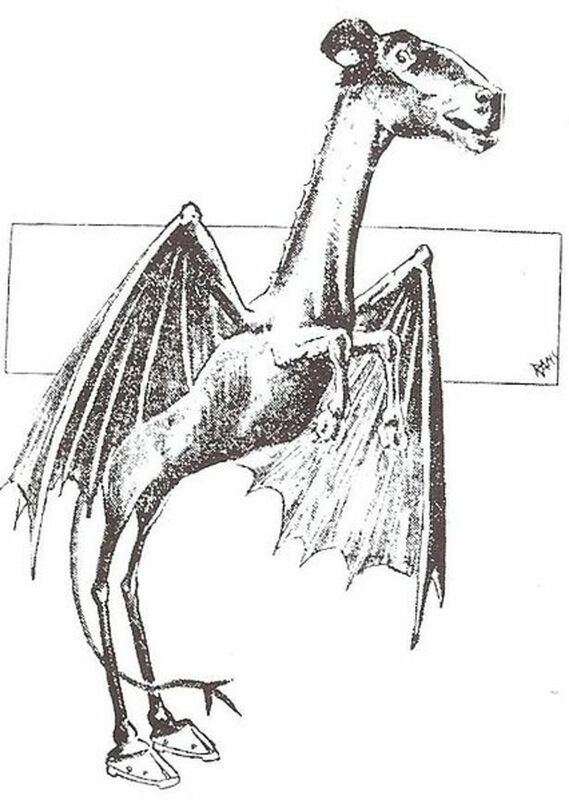 It would be nice to confirm that some mysterious and heretofore undiscovered critter was Spring-Heeled Jack; but, as with the Loch Ness Monster or Bigfoot, no credible research supports that notion. A dressed up kangaroo was one suggestion; but, who outfitted the marsupial and how did it develop a taste for bodice ripping? Difficult questions for which no good answers were forthcoming. 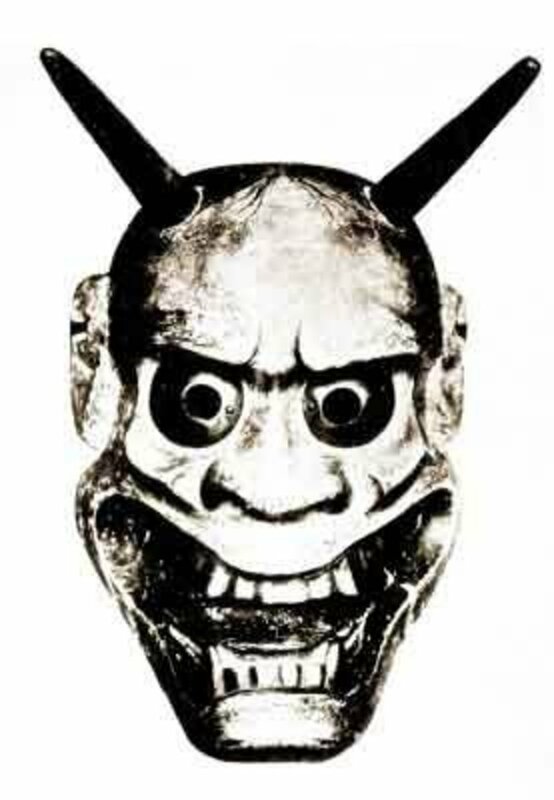 Practitioners of the Satanic black arts were thought by some to have called up a demonic apparition from another world to create spiritual turmoil. A small faction says Spring-Heeled Jack was an alien from a high-gravity world which would make him appear as American astronauts did on the surface of the Moon. Well, of course, that was bound to happen. The likeliest, and dullest, explanation is that it was a case of mass hysteria. This is a phenomenon observed in many places around the world and in many eras. A strange story is told of some sort of ghost or spectre and soon other people see it. Hallucinations do occur, often without the aid of intoxicants. With the idea planted in the mind it’s not surprising that people having an illusionary experience think they have seen the phantom du jour. Sightings of Spring-Heeled Jack grew less frequent as the news cycle moved on to other matters, but he was reported to have scared the wits out of soldiers on guard at a barracks in 1877. 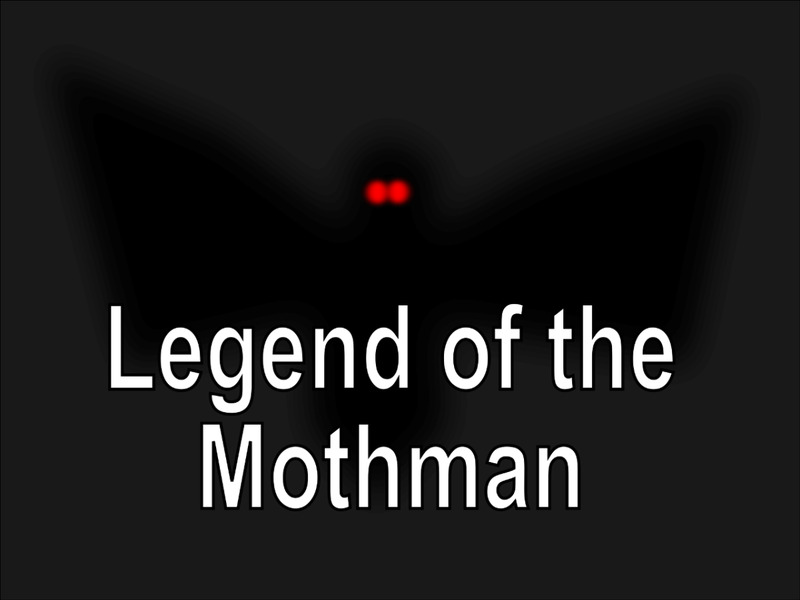 Shots were fired but the soaring fiend got away once more. In the same year, he attracted more gunfire from a mob in Lincolnshire, but nobody hit the target. In 1878, a sentry at the Colchester army camp drew blood. He bayoneted Spring-Heeled Jack in the leg, but the demon turned out to be a junior officer playing a prank on a not-too-smart grunt soldier. Even, in our sophisticated modern world, where science explains most mysteries, Jack makes an occasional encore performance. Spring-Heeled Jack was originally known as the “Suburban Ghost” and his shape was that of a bull. Then, he became a bear and finally “an unearthly warrior clad in armour of polished brass, with spring shoes and large claw gloves” (Morning Chronicle, 1838). A friend of the writer’s involved in the theatrical trade once had a part in a play based on the Spring-Heeled Jack story. The play’s lead character was hooked up to a harness and Kirby wire when … but let’s let Jim take up the yarn: “The stage crew would pull on the Kirby wire to make Jack appear to fly. One night they yanked a little too hard and Jack disappeared into the border curtains above the stage. There was a sickening thud and when they lowered Jack for his next scene he hung limp in his harness completely unconscious." “Monsters Are a Product of the Madness of City Life.” Richard Herring, Metro, November 29, 2012. “Research Note: Spring-Heeled Jack.” Jacqueline Simpson, Newsletter of the International Society for Contemporary Legend Research, No. 48, January 2001. “Spring-Heeled Jack.” Chris Upton, BBC Home, undated. “Terrified Banstead Family Confronted by ‘Dark Figure’ on Bypass.” Lauren May, Surrey Comet, February 23, 2012. 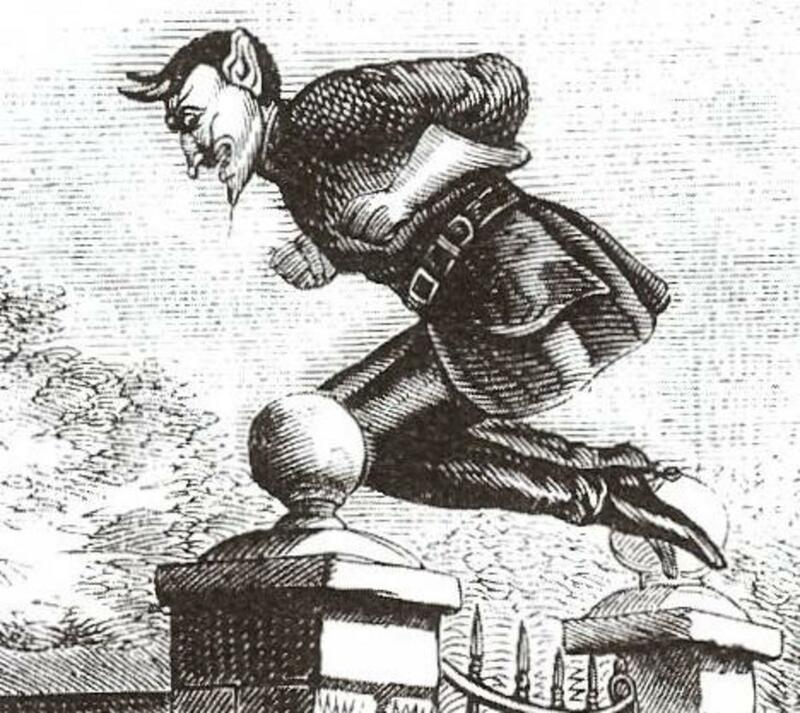 “Spring-Heeled Jack: The Terror of Victorian England.” Dr. Karl Bell, Folklore Thursday, undated. Spring-heeled Jack was a true S.O.B! I've heard of Spring Heeled Jack, but I didn't know he was still being seen. I had not heard the alien explanation, but I like it, lol. How interesting. 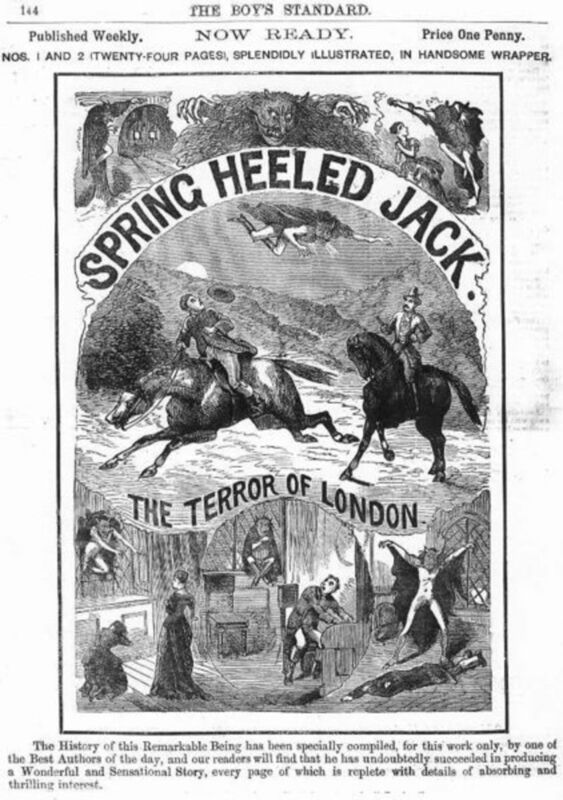 I've never heard of Spring Heeled Jack before.